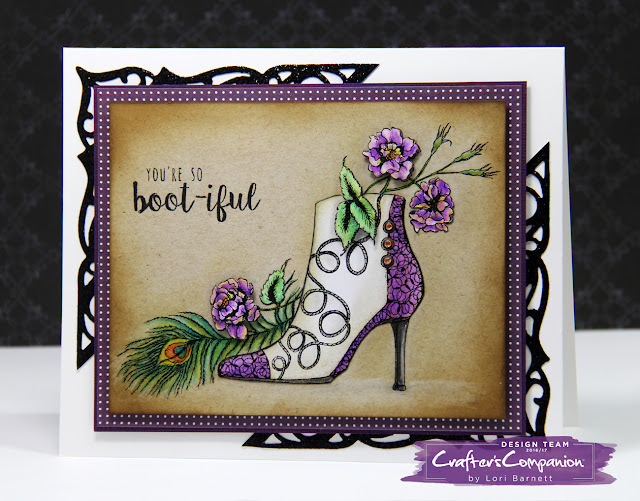 Crafter's Companion USA is about ready to launch 6 NEW Spectrum Noir Ink Pads. 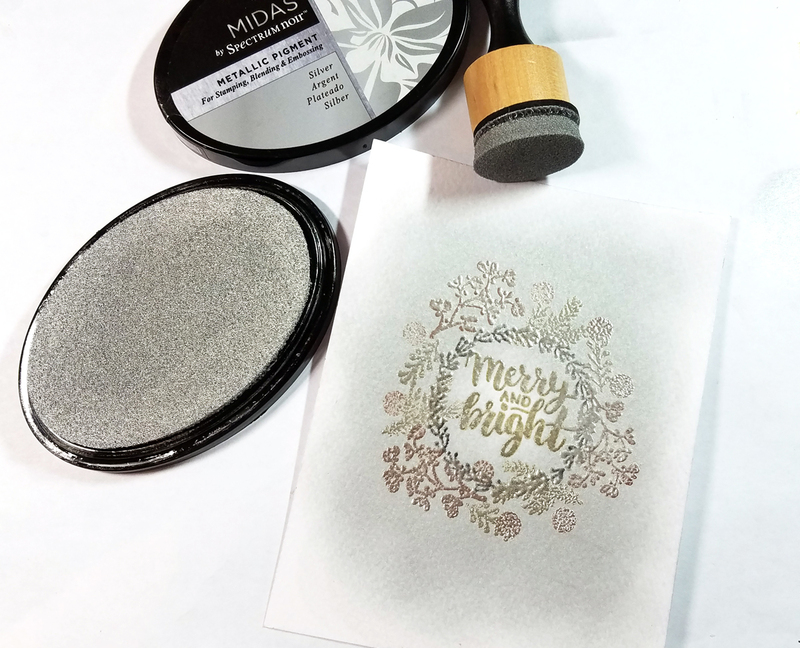 Midas Metallic Pigments!!! Available October 9th on the HSN show. 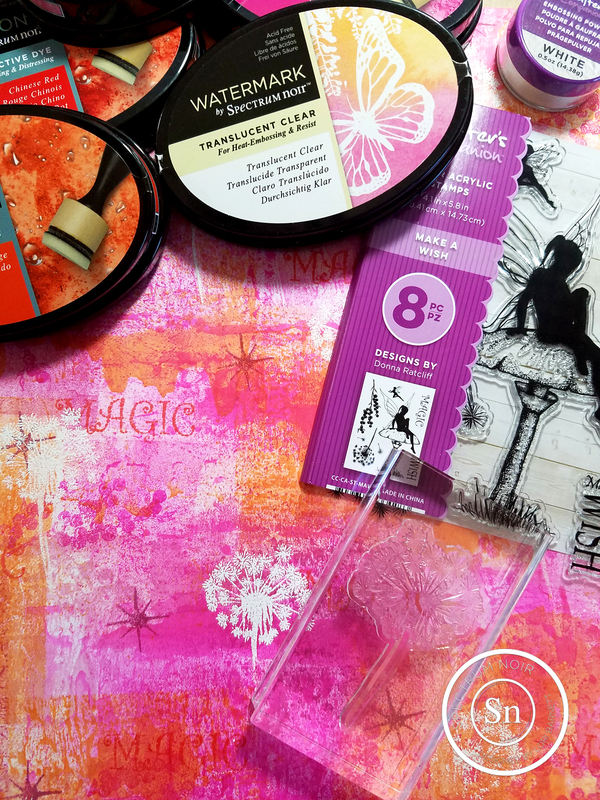 These inks work beautifully on ANY color of cardstock. 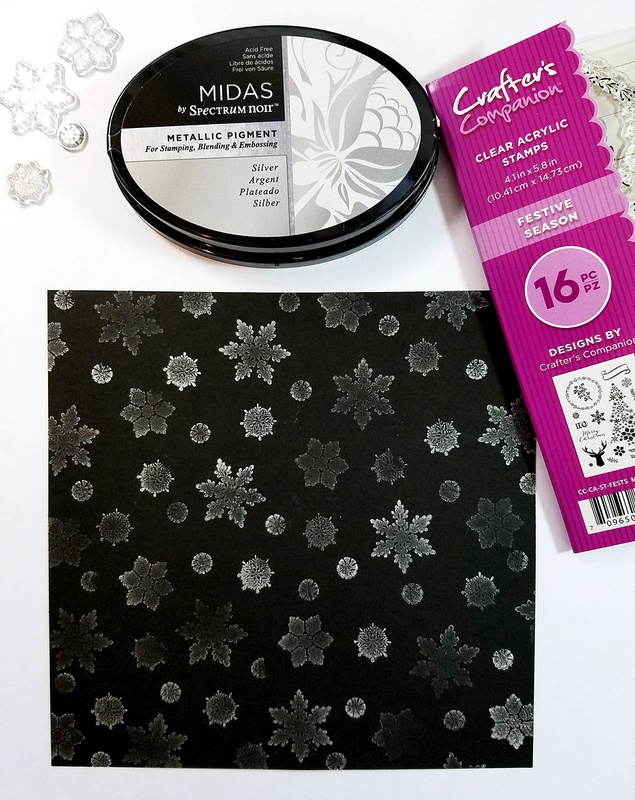 Here's a quick sample I did using the new Silver on black cardstock with a few snowflake stamps from the Festive Season stamp set that comes in one of the ink bundles. I did 1st and 2nd generation impressions on this sample, and the ink was amazing! 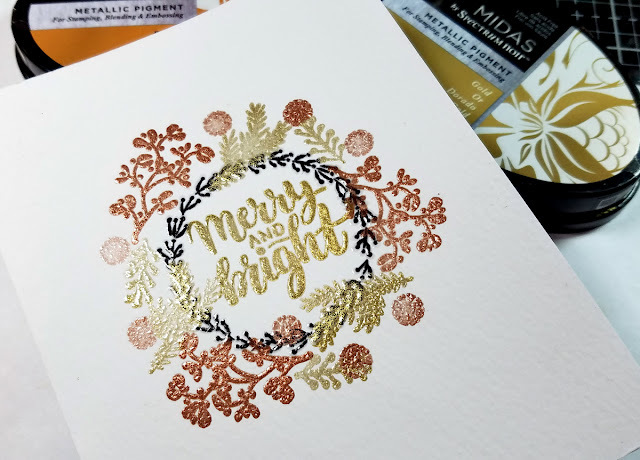 Midas inks are water-soluble and packed with brilliant metallic pigment, for a bold intense shine on all your projects! 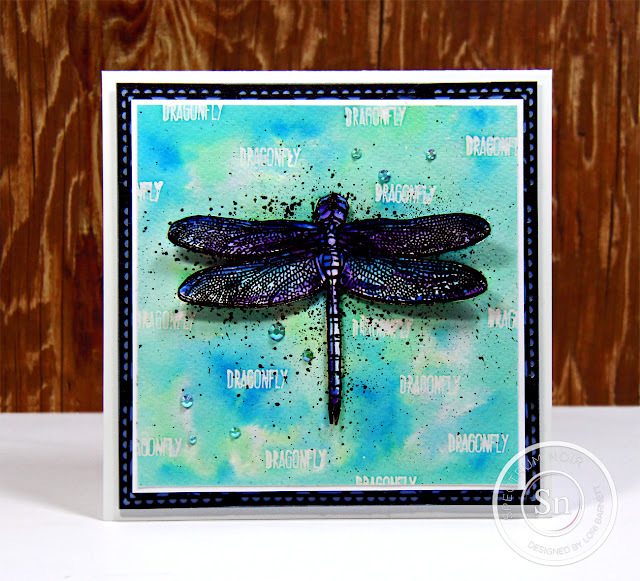 Each ink is archival and fade-free with a generous drying time that makes them ideal for blending and embossing. 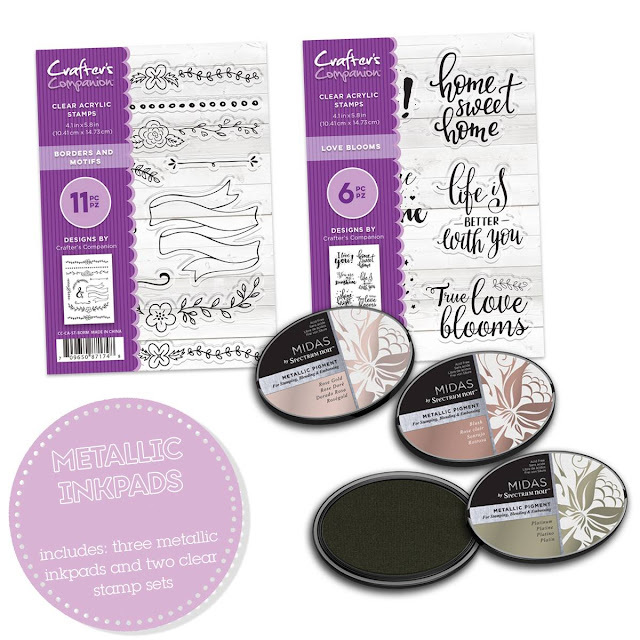 These are the 2 bundle options availale at HSN, however you can get just the set of ink pads separately if you don't want the stamp sets. I created this card using the Christmas Bundle which is available on HSN Tuesday October 9th. Turned out amazing! I stamped the images on watercolor cardstock, then clear heat embossed. The black ink is Spectrum Noir Finesse Pigment Ink Noir Black. Then I used the ink blender and sponged on ink over the image. When finished sponging, I used a paper towel to buff the ink off of the embossed images. Lastly I flicked water drops for additional texture and interest. Midas inks are water reactive before dry. Soooo cool!!! I'm sure you will agree, these New Midas Metallic Pigment Inks will make a FANTASTIC addition to your ink pad collection! 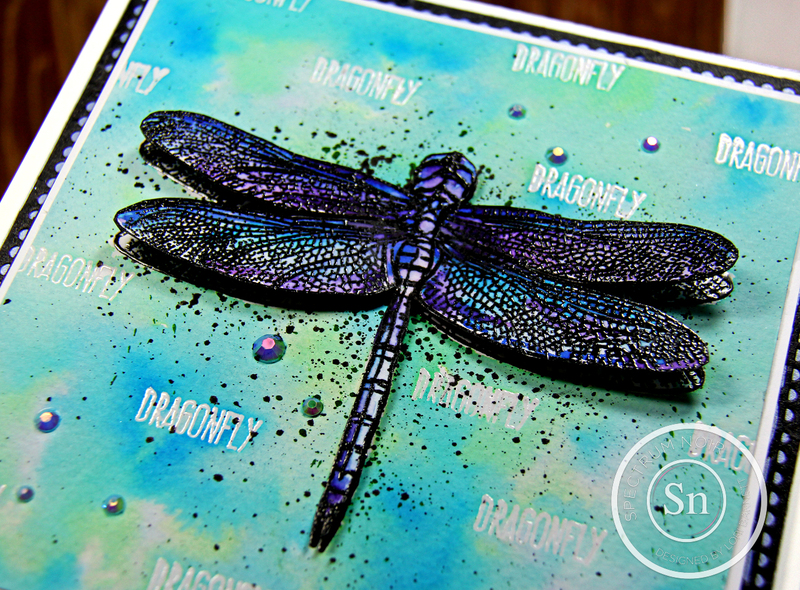 I'm just poppin' in here quick to share a project I made using the FAB NEW Spectrum Noir Inkpads from Crafter's Companion. Visit the Spectrum Noir Website to get all the details on these new ink pads, and other products. I used the New Harmony Inkpads in Pink Tulilp, Fuchsia, Plum Jam, Orange and Chinese Red. Aren't these colors gorgeous?! The fairy/mushroom image is stamped, heat embossed, colored and cut out by hand, then adhered to card front. I did add a few fussy-cut layers for added depth and dimension. 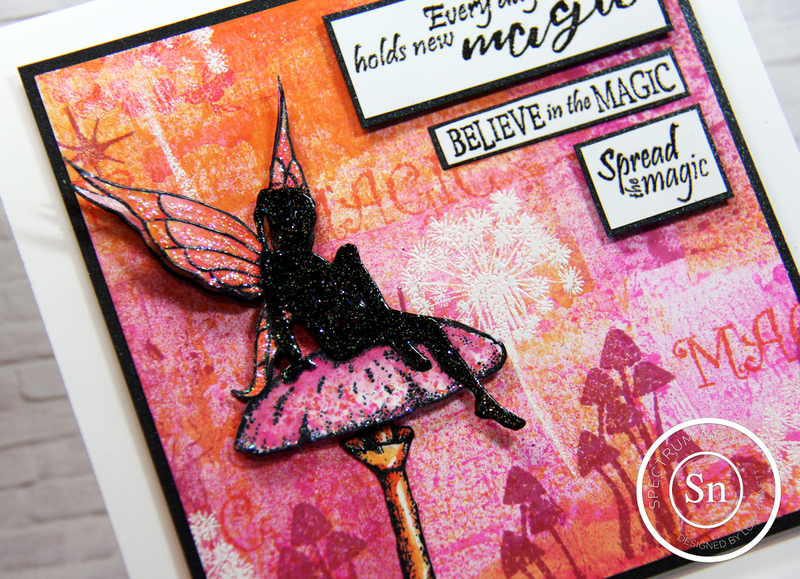 The fairy is embossed with black sparkle embossing powder. I added Stickles Glitter glue on her wings and the bottom edge of the mushroom cap. It really has great dimension, sparkle and shine. 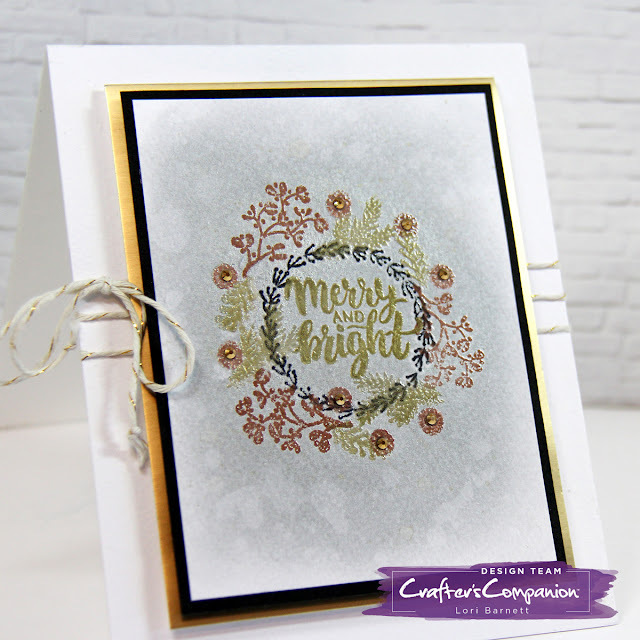 I absolutely love how this card turned out! I also used the New Translucent Clear Watermark Inkpad and Noir Black Finesse Inkpad, along with white and clear embossing powders. 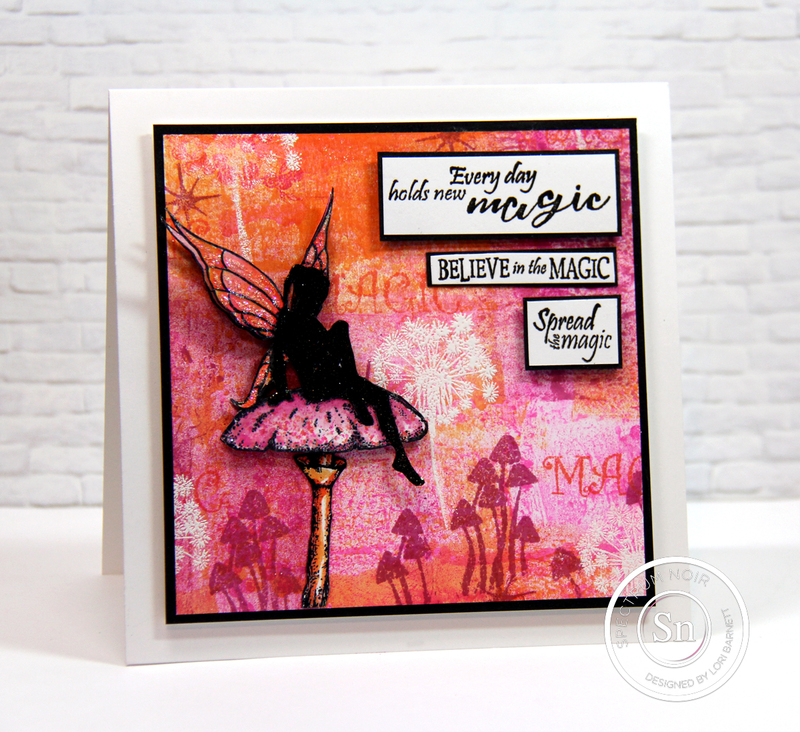 The fairy stamp sets are also new from Crafter's Companion, and were launched with the inkpads on HSN July 11th. 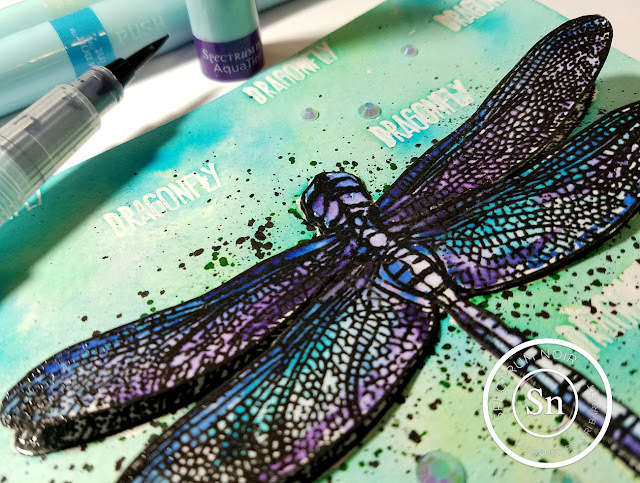 Check out the Crafter's Companion website HERE if you are interested in purchasing the NEW Spectrum Noir Inkpads, along with more new inkpad tools and accessories. Well hello crafty friends! Did you hear the news? Crafter's Companion is bringing BRAND NEW Spectrum Noir AquaTint Brush Pens to HSN May 2nd!!! Only a few more days! There is absolutely no way to go wrong with these babies! You can color direct from the pen, you can color from a palette, you can flick, you can squeeze, you can drip, you can do whatever your crafty little heart desires. No mixing, no fussing...just pop the cap of the pen and go! SUPER SIMPLE! LOADS OF FUN! The ink that is in the AquaTint brush pens is water-soluble dye-based ink. The colors are fantastic! The pens have a fine nylon brush perfect for painting small detail areas, or even larger areas. Since the ink is water soluble, they blended out with water for amazing watercolor results every time. 21 pen colors!!! 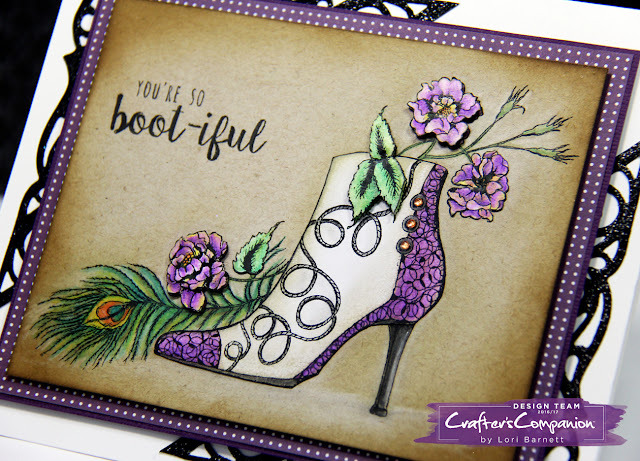 The stamps I used (and many others) are designed by Sheena Douglass and will also be coming to HSN May 2nd. Get all the details about the HSN Show on May 2nd HERE. It's almost time for our next 24hr Crafting Event on HSN with Crafter's Companion! Loads and loads of amazing goodies! Join us and watch Sara and Jen Tuesday Oct 3rd starting at 2am ET. I wanted to share a super quick and easy design I made with some of the products that will be on the show. 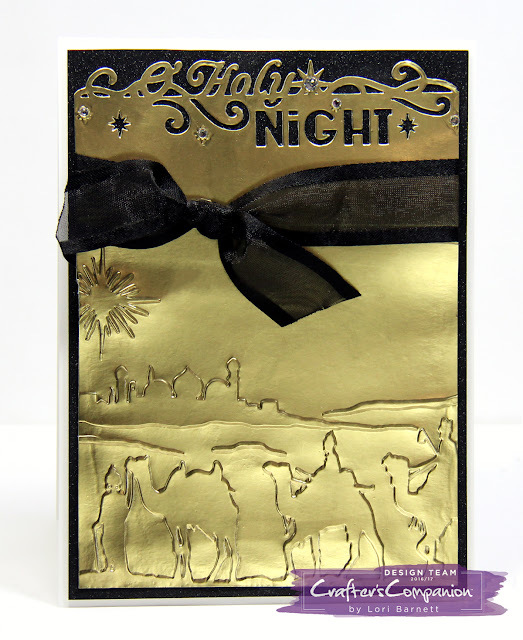 I created this card to showcase one of the fantastic Die'sire Edge'ables Christmas Only Words Dies - Oh Holy Night. I die cut the top edge of a panel of Gold Luxury Cardstock. 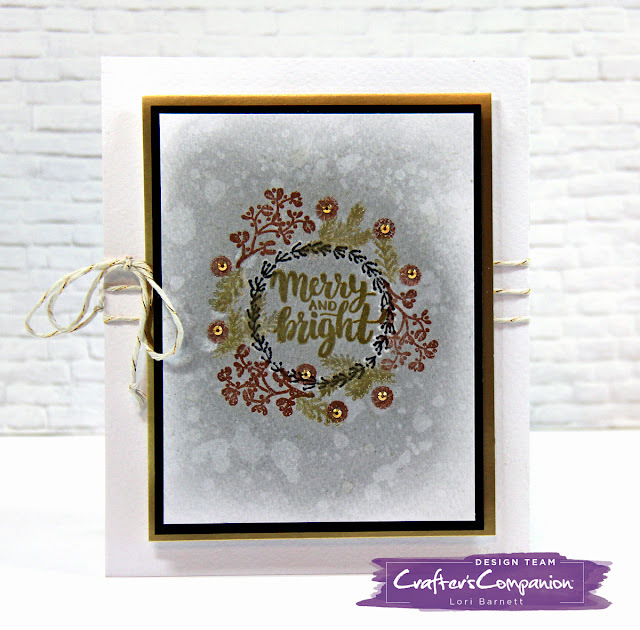 Then I embossed the bottom portion of the panel with Sheena's Festive Embossing Folder - Wise Travelers. Next I tied a Black Luxury Satin Edge Organza Ribbon, from the New Sara Davies Black & Gold Signature Collection, around the panel. 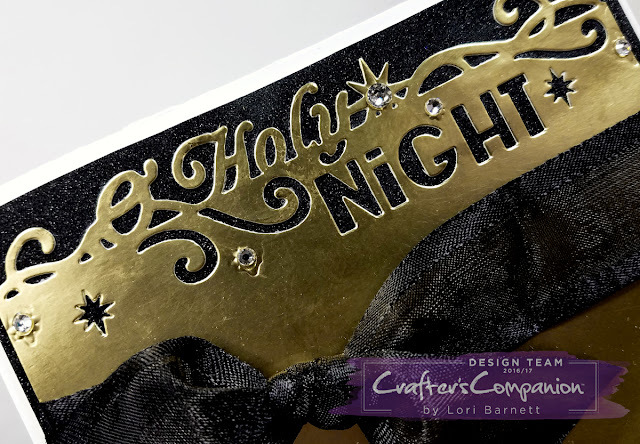 To assemble the card, I adhered a panel of Shimmering Cardstock - Black Pearl to a white notecard base, then mounted the gold panel on top with dimensional foam tape. Addin a few crystal rhinestone embellishments completed the design. Join us over at the Watch Party on Facebook for fun, prizes and inspiration HERE. Get your Shopping List ready HERE. Check out the Show Schedule HERE. 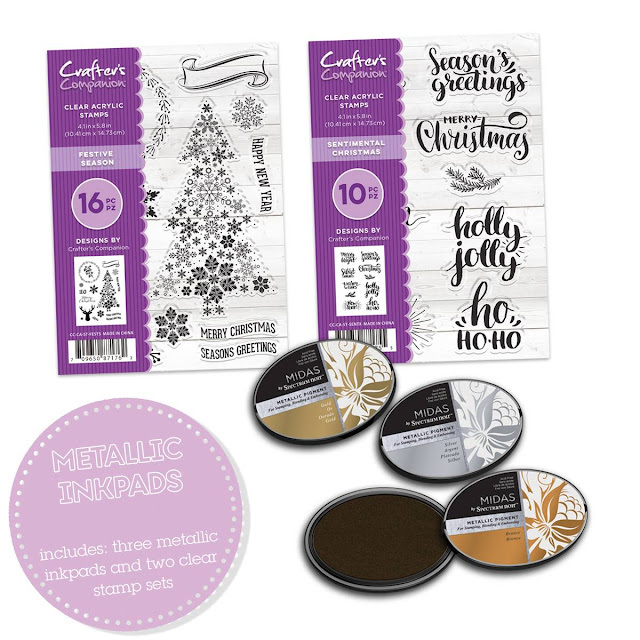 Have you seen the new stamp sets that were released today over at Crafter's Companion USA? Oh my goodnes! The NEW Cherry Green Designs stamp sets are soooooo fun! I made a sample card using the Boot-iful set. Are you wondering how I got the boot so white on kraft cardstock? Well...all I did was stamp the image on white cardstock, fussy cut the shoe out and paper pieced it to the panel. I also cut out a few of the flowers and leaves to pop up for dimension. Check out all the NEW Cherry Green Designs sets HERE. Check out our design team projects using these new stamps HERE.